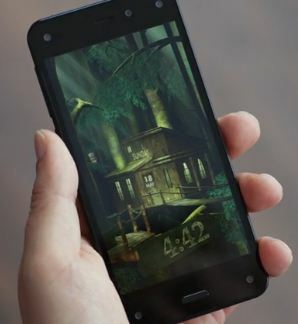 Dynamic Perspective Archives - Touch Display Research, Inc.
Today, Amazon’s CEO Jeff Bezos introduced their new device—the Fire phone in their news event in Seattle. There had been many rumors that their new phone will come with a 3D display. In today’s news release, Amazon didn’t call it 3D at all; they called it “Dynamic Perspective”. After carefully study the Amazon’s video of the Fire Phone, Touch Display Research concluded the Fire phone is NOT using a 3D stereoscopic display. It’s using a “normal” 2D display, 4.7”, and 1280X720 pixel format. Rather it is using 4 small camera sensors to respond to how you tilt the phone and how you tilt your head. Then the real-time computer vision algorithms in the phone will show you the responded image. More analysis will be in our Touch and Emerging Display monthly report. You can subscribe right here in our website. This entry was posted in 3D, Displays, Dynamic Perspective and tagged 3D Display, 3D image, Amazon, Camera sensor, Dynamic Perspective, Fire Phone on June 18, 2014 by jennycolegrove.